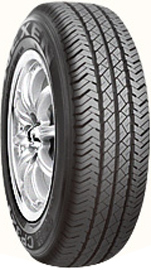 Capitol Tyres are owned by the larger Korean tyre manufaturer the Nexen Tire corporation. The Capitol brand are a budget brand, with a range of All Season tyres available along with their standard summer range. Whilst officially being classed as a budget tyre brand, the Capitol tyre is usually more sporty and aimed to appeal to those who prefer a slightly sporty driving feel. 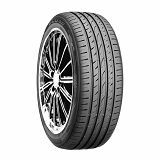 Easywheels.co.uk does not currently stock Capitol tyres but you can find our range of budget tyres on the homepage. Too find out more about Capitol Tyres and who owns them see their parent site. The Capitol CP321 tyres are a great option for you to consider when it’s time to change tyres on your model. This option has a stiff shoulder to ensure you get the most responsive handling and even wear across the set of tyres. You’ll also enjoy greater stability and reliability with this option and that can put your mind at ease on every journey you make. The CP321 tyres are a great choice that represents great value for almost every driver. The Eco 003 tyres from Capitol are a good choice of tyre that represents the latest technology and advancements in use. With improved water drainage and traction in the wet, you’ll be more confident on every journey regardless of the conditions. The steering response has also been improved so you can get a lot more enjoyment from every journey. There are plenty of reasons to choose Eco 003 tyres from Capitol, and you’ll get great value every time. The Eco 007 tyres continue to make use of advanced design and production processes to ensure only the best, highest quality and most advanced tyres are available for every driver. The benefits enjoyed throughout the Eco range from Capitol are improved so you can enjoy great stability, reliability, durability, water drainage, steering response, energy efficiency and much more. 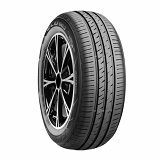 Capitol Eco 007 tyres are a great option for a number of drivers and environments so don’t miss out.